Bedroom rendering, modeled and rendered in Autodesk 3Ds Max Design and edited in Adobe Photoshop. Time spent modeling and editing: about 13 hours. 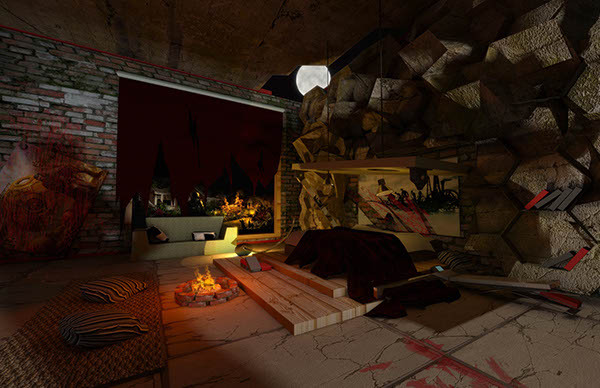 The class was assigned to model a bedroom from a single photo. After I had finished the model I decided to add my own touch to the room, by tearing it apart and making it a survivor's stay for a night.